Are you tired of sitting at your desk all day? 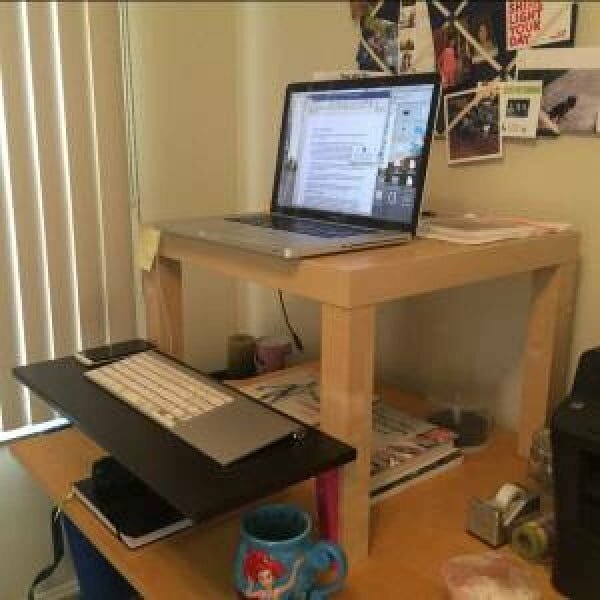 Switch to standing by building a comfortable DIY standing desk. Choose from these 16 brilliant ideas. There are many benefits to switching your working position to standing, but we’re not going to go into detail about them. 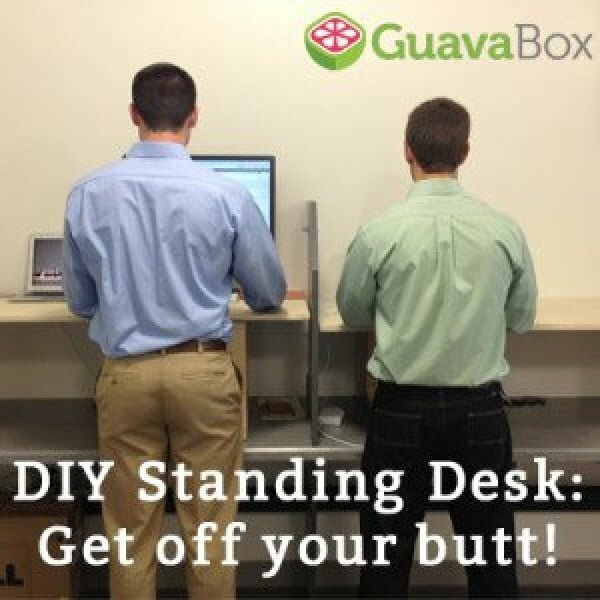 You already have to have made up your mind to make the switch if you’re here looking for a DIY standing desk. 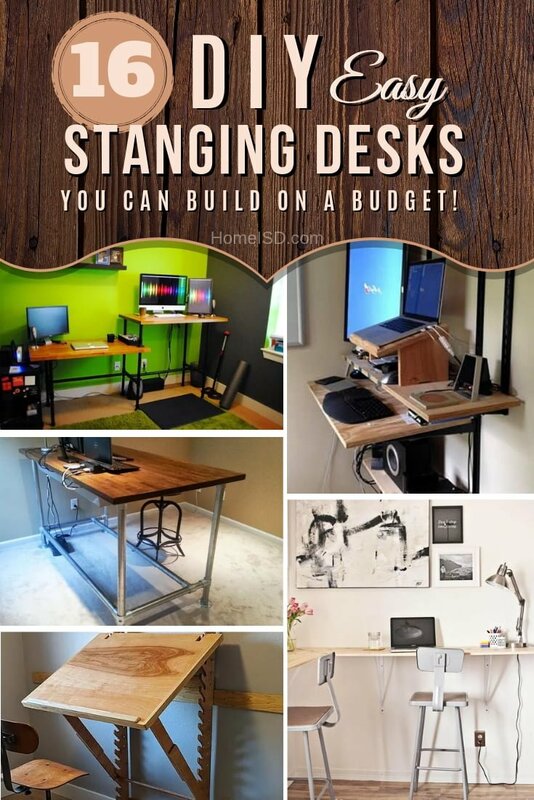 We’ve made it easy for you by finding only the best and easiest tutorials and plans for a DIY standing desk. All you have to do is choose one and build it! This desk allows two people to work in separate areas, giving you plenty of desktop space. Even though the desk height is designed for standing as you work, you can also get a couple of stool height chairs so that you can sit down whenever you feel tired. 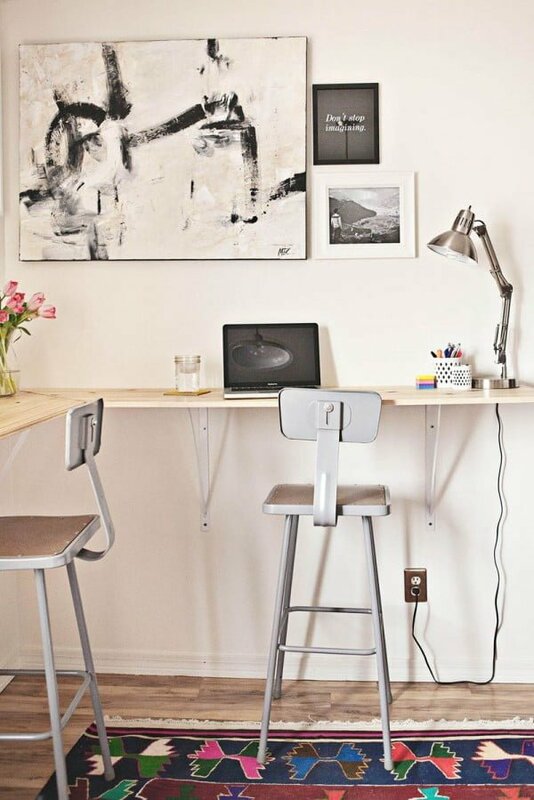 You are going to love how your wrap-around desk finally turns out. 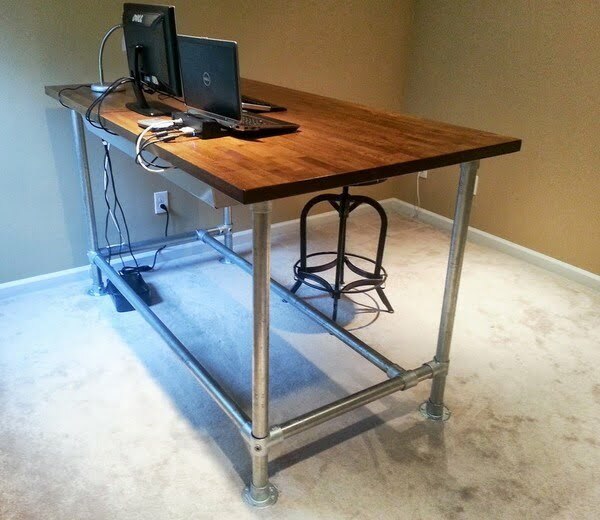 Build this rustic DIY standing desk with an adjustable metal frame. Check out this website for the tutorial and plans. 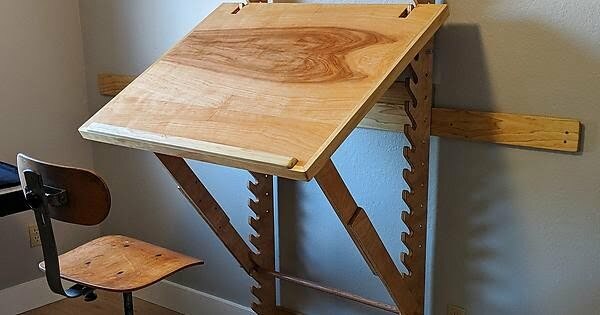 This is a beautiful DIY standing desk on a budget. Read the tutorial to see how it’s done. 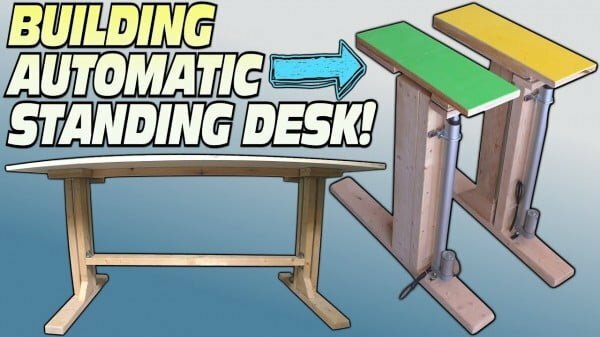 Build this fantastic DIY wood and pipe standing desk as an easy project. See this website to learn how it’s done. 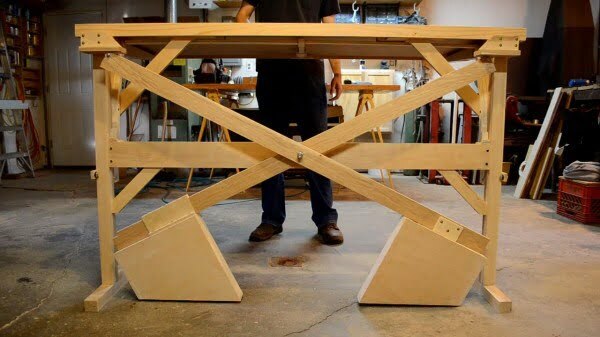 This is a terrific DIY art desk with adjustable height and angle for a budget project. Follow the tutorial to see the complete guidance and instructions. We have over a year with our adjustable stand-up desks and have since received many comments on the design. Additionally, we paired the desks with tall chairs, so users can alternate between sitting and standing (we’ve found some tasks require sitting for). See the article for the entire plans and instructions. 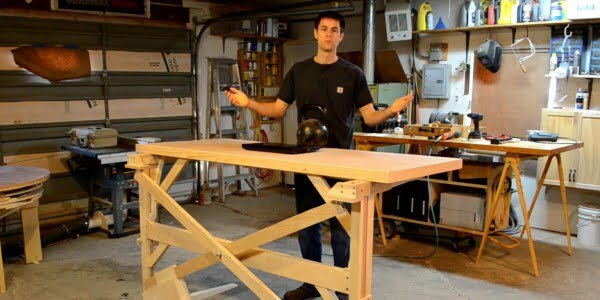 This is a terrific DIY mechanical standing desk for a cool woodworking project idea. See the tutorial to learn how it’s done. Tired of sitting in front of your computer all day? I think we all are. And it turns out all that sitting is very bad for us. It has to stop. Read this website to see the full guidance and instructions. This is a simple DIY wall mount standing desk made the easy way. Read the link to learn how to do it. 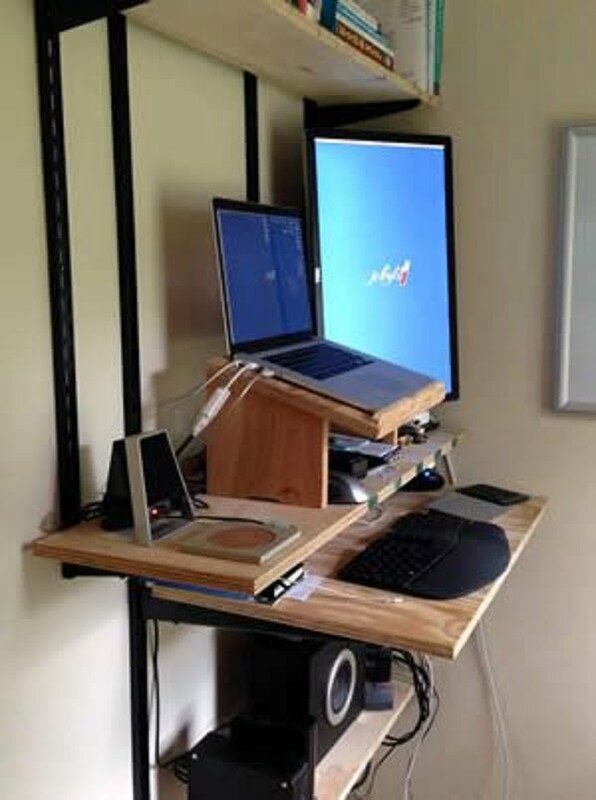 What a terrific DIY standing desk workstation on a budget. Follow the article to see the entire plans. Are you ready to ditch your chair for a standing desk? 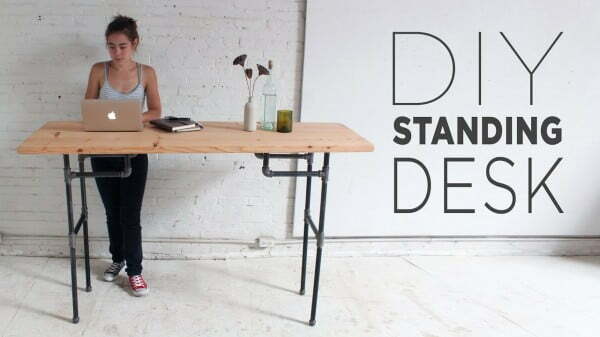 Here’s how to make your very own DIY Standing Desk. See the tutorial to see how it’s done. 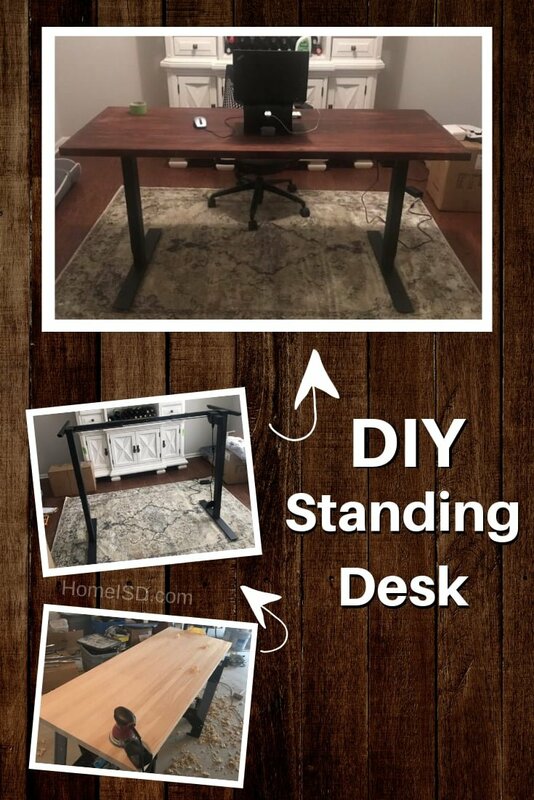 This is a fantastic DIY adjustable standing desk from steel pipe & IKEA countertop as a budget craft project. Read the tutorial to find out how to do it. 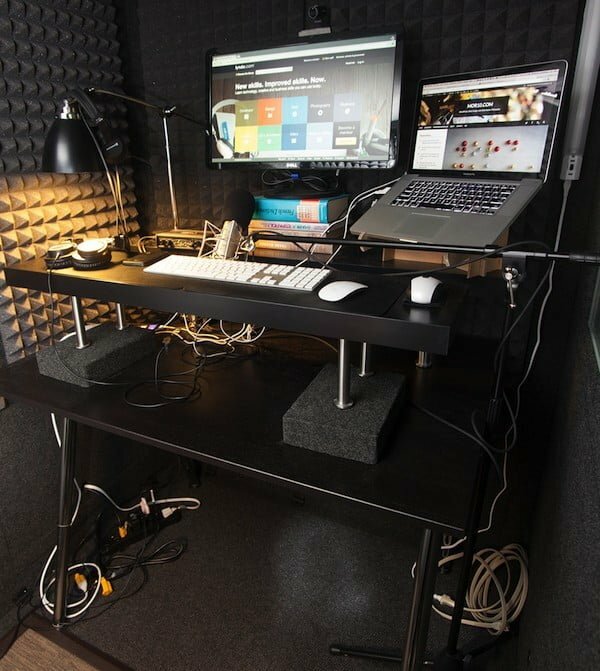 Build this clever DIY convertible standing desk which costs just $200 to make. Check out the article for the full plans and instructions. 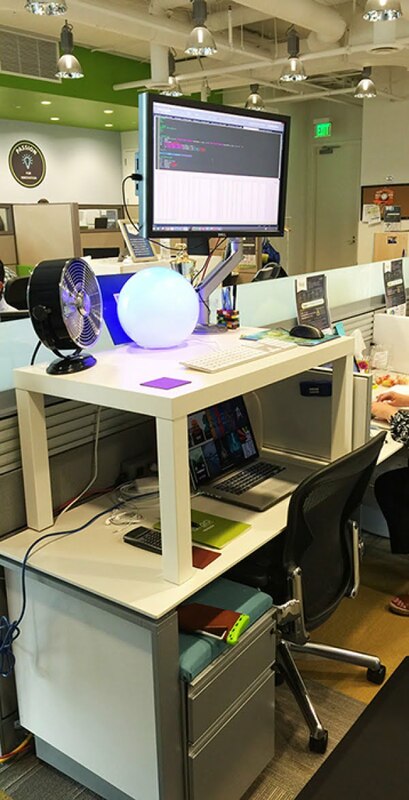 A DIY stand up desk can help boost your productivity, increase your energy, and even help you live longer. Learn how to make your own in this post. Time to make the workstation a little more comfortable thanks to a healthy change from today’s DIY woodworking project. An automatically adjustable height stand. See the video tutorial to learn how it’s done. This DIY Standing Desk is made from 2x12s and plumbers pipe. 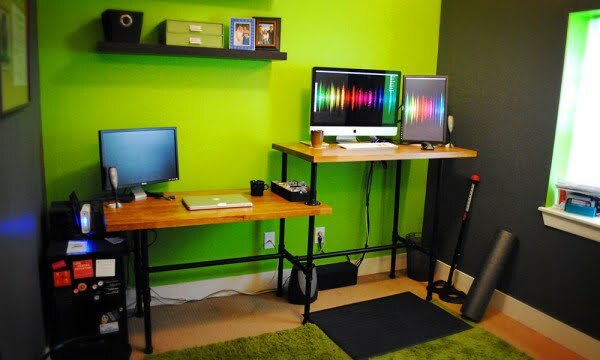 The height of the desk can be adjusted by switching out different sections of pipe. See this Youtube video to find out how it’s done.